When Chief of Naval Operations Adm. Jonathan Greenert went to Congress last month to explain the Navy’s budget request for Fiscal Year 2016, his written testimony included, “we request Congressional support for Navy’s original plan” to remove 11 cruisers from active status. However, lawmakers made their opinion clear last year: a Navy struggling to reach even 300 ships — compared to the famed 600-ship Navy of the 1980s — should not voluntarily take 11 ships out of the fleet. Combatant commander demand far outpaces the Navy’s ability to generate ready ships and crews, and Congress told the Navy it could not let 11 Ticonderoga-class cruisers sit pier-side instead of contributing to training and deployments. A Navy official explained that, even though the Navy has begun implementing Congress’s plan – the 2/4/6 plan, which mandates that two ships go into modernization at a time, with the work lasting no more than four years, and no more than six ships in maintenance at any given time – it still isn’t too late for Congress to let the Navy change course. 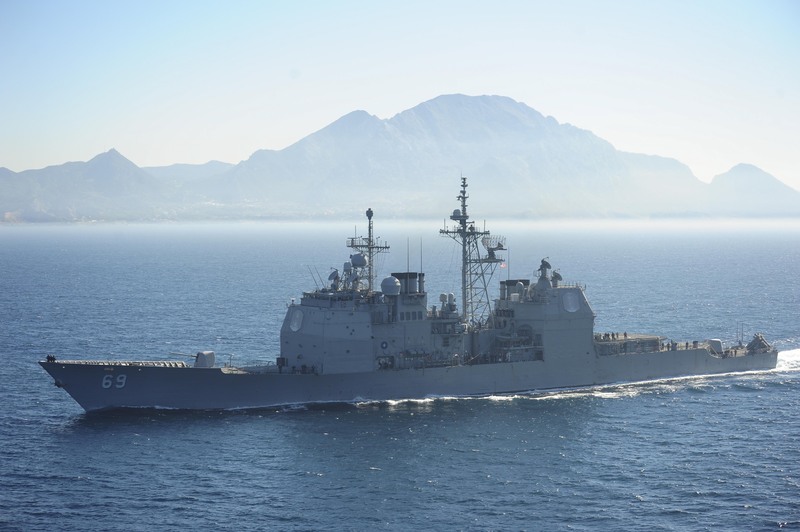 “Our [2015 president’s budget request] plan to modernize 11 CGs over a phased modernization period provides the most flexibility and longevity for our cruiser fleet, especially during a fiscally constrained budget environment,” the Navy official told USNI News. The Navy projects that it would have saved $4.4 billion over a five year period if it had been allowed to proceed with its plan last year instead of switching to Congress’s 2/4/6 plan, the official said. The savings come partly from not having to pay for manpower and operations costs while the ships are in reduced status, and partly from being able to defer the purchase of combat systems and other equipment – which could be bought in bulk several years down the road under the Navy’s original plan, instead of two at a time beginning immediately under Congress’s plan. Those savings would be slightly smaller if Congress reversed its decision and supported the Navy’s plan this year, and even smaller next year – but Navy leadership still sees the benefit in keeping the discussion going. Even if sequestration weren’t a factor, the Navy would still be facing a problematic shipbuilding budget. As the Ohio Replacement Program moves closer to construction, it is forcing other priorities out of the budget plans. The Navy already decided to cancel ballistic missile defense (BMD) upgrades for five destroyers, despite BMD ships being a top combatant commander request. The air defense commander oversees and coordinates the aerial protection of the entire CSG. “Without any phased modernization program, the CG class will retire, without replacement, at the end of their service lives between 2020 and 2030,” the admiral wrote. Both the Navy’s plan and Congress’s plan involve risk. Greenert is advocating taking risk now – in having only 11 active cruisers, one for each of the 11 CSGs, without any additional cruisers ready to take on solo missions or serve as a backup if one of the cruisers were rendered unfit for operations somehow. His plan reduces risk later on, though, by ensuring the cruiser fleet, though smaller, will be around longer, since it is unclear when the Navy will have money to begin a cruiser replacement program. Congress’s plan, on the other hand, pushes the risk down the road. Lawmakers want to know that ships are available today if operations require additional warships. Their plan accepts risk in the late 2030s and early 2040s, when the current cruiser fleet will have used up all its service life and a replacement fleet may or may not be ready. Greenert made clear in his written testimony that he will follow the law: “Navy will induct two Guided Missile Cruisers (CGs) into phased modernization in FY 2015 and an additional two in FY 2016. This will place a total of four ships in modernization with the intent that each ship period will be limited to four years,” he wrote, putting his budget request squarely in line with the 2/4/6 plan. But his testimony also makes clear the discussion isn’t over.